At first glance, ballet might not seem like the ideal vehicle for telling a story about homelessness. But Joe Landini, who is in his tenth year of curating the Summer Performance Festival (SPF), takes a famously hands-off approach when he offers dance-makers a platform. Taking advantage of this freedom, choreographer Marika Brussel has specifically situated her newest ballet in a homeless encampment. Brussel's piece, titled From Shadows, was unveiled on June 7 at the Joe Goode Annex. It opened with family man Calvin Thomas swept into a waltz with his addiction -- a sleek, silvery figure danced by Sharon Kung. He abandons his wife and child. Years later, his grown-up daughter, danced by Nina Pearlman, searches for him on the streets, surrounded by a cohort of shadowy figures both human and inhuman. His wife, danced by the magnificent Alexandra FitzGibbon, returns briefly in an engrossing mirage. Brussel, who had encountered homelessness in her own family when she was a child, avoided romanticizing the circumstances and mobilized ballet tropes in lush and unexpected ways. She succeeded where far-more-famous choreographers have failed in deploying the limited vocabulary and the hyper-refined aesthetic of ballet to tell a modern, authentic tale about a marginalized population. 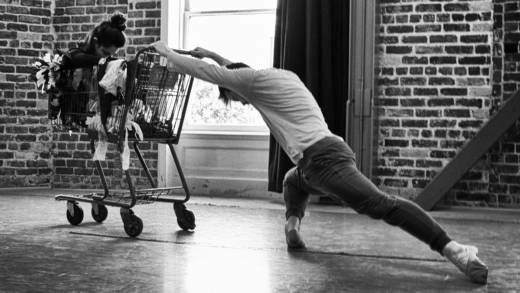 Earlier this season, choreographer Arthur Pita sent a gleaming stretch limo onstage at the War Memorial Opera House in service of a new ballet, but Brussel’s ingenuity with a trash-filled shopping cart packed an even bigger wallop. Brussel's piece was just one of the first two programs of SPF 10, and if they’re a reliable gauge, the remaining SPF shows will be rousing affairs. Another highlight of the first weekend of SPF 10 was Identity Theft by Linda Bouchard Multimedia Works. It’s a hallucinatory distillation of the real-life experiences of dancer-choreographer Aisan Hoss. Hoss can no longer return to her home in Iran, where she was born and raised, and where dance is outlawed. From the moment audiences walked into the theater, a climate of unease was created as each audience member was subjected to one-on-one interrogation by a cast member, in a seemingly capricious screening process redolent of encounters with immigration officials. On the floor with Hoss were oboist Kyle Bruckmann, cameraman-actor James Fusco, composer-director Linda Bouchard and technical director David Coll. Together they spun a haunting web of sound and video imagery. Hoss wrestled expressively with thick ropes, clanking chains and a wrought iron bird cage, while surveillance-style video footage of her was projected onto the forbidding walls of the Annex. Hoss was mesmerizing, but disparate physical elements, like the world map stuck with pins, did not fuse convincingly with the rest of the high-tech landscape. As the oppressive streets of Tehran vanish from the theater, five women of Amy Foley’s Bellwether Dance Project burst into the newly pristine space for a project called Thighs and Wages. The women looked remarkably young and innocent in their demure frocks; they dispatched the athletically demanding technique with a serene matter-of-factness. Foley has created a timeless artifact of abstract dance that exudes pure joy while defying the objectification of women. Marlie Couto, Liza Kroeschell, Courtney Mazeika, Maggie Stack, and Katerina Wong were heroic individual presences. A fusillade of stomping, rolling and kicking wound down into a tender image of mutual protection as the dancers piled on top of each other, their faces alertly turned to the audience. 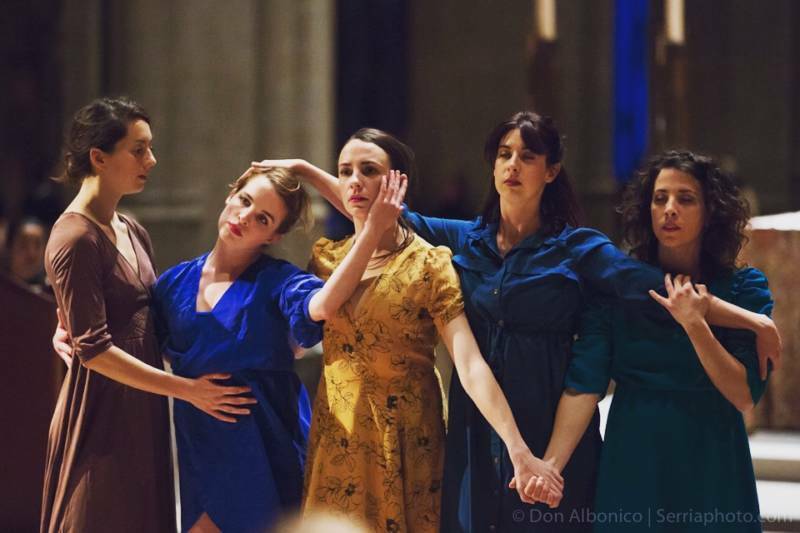 That moment paid tribute to the 1923 Les Noces, the proto-feminist ballet by Nijinska that depicted marriage as an oppressive institution. Paired with Brussel’s work, Khala Brannigan’s impassioned tribute to the victims of Oakland’s Ghost Ship fire was fiercely dispatched by the Bay Area Dance Collective. The dancers raced around maneuvering four angled screens painted with images of fire and sky. The beauty and flimsiness of the structures served as heart-wrenching metaphor for the Ghost Ship, yet the scattershot construction of the dance robbed it of eloquence. While SPF has grown over the years and is now run as an artists’ cooperative, the venue remains delightfully intimate, allowing veteran artists to work alongside the up-and-coming. Also, prevailing over all is Joe Landini’s anything-goes vibe. The remaining lineup through July 16 includes Slick Babble Dance Project’s inquiry into the venerable science of sound wave vibrations, also known as Cymatics. The Riley Project tackles the scourge of depression. 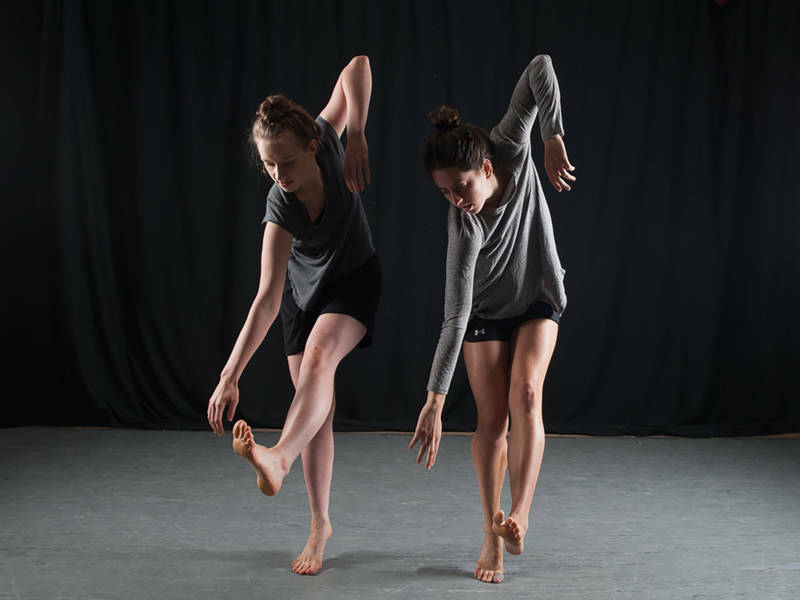 Visceral Roots Dance Company creates a movement vocabulary from life experiences. 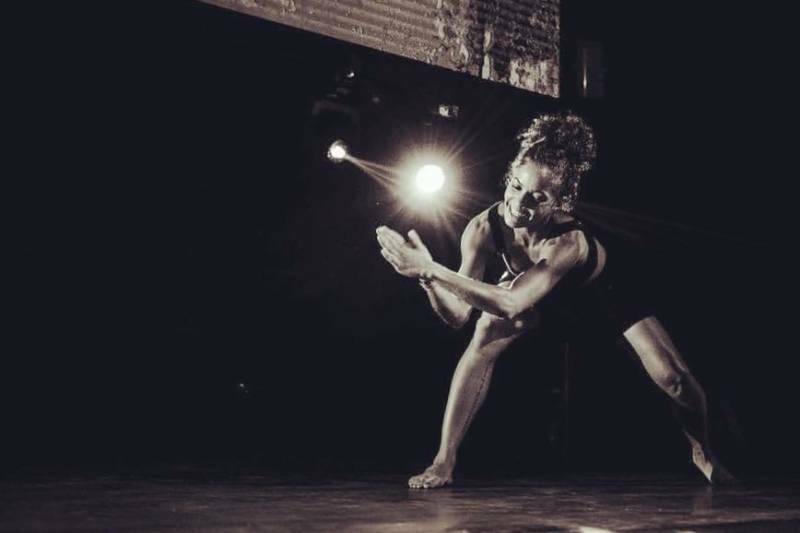 Sienna Williams and Diana Kalaji dance their experiences as women of ambiguous ethnicity, while dana e. fitchett explores the trials facing black American women, at a time when racial and religious tensions are inflamed. Carly Lave works with the physiology of entrapment and how women define power. And, finally, Lili Weckler collaborates with her dancers and musicians to launch an assault on modern capitalism. Catch Programs 3, 4 and 5 of SPF 10 from July 12-16 at the Joe Goode Annex. For more information and tickets, visit the Joe Goode website.